Since our initial posting on this subject last December (see below), the uncertainty of the State of California budget has become more complex. While the collection of tax revenues statewide has remained relatively flat, state legislators and Governor Jerry Brown are examining possible cuts/adjustments that will impact most every service program in California. It is no different for the Department of Education. While educators were enthused about the passage of Senate Bill (SB) 1381 in 2010 and its implementation, the fiscal condition of California represents a threat to its existence. The dilemma for the majority of school districts is that most were advocating for an immediate age cutoff date September 1 – including Dublin Unified. This is in contrast to the legislation that proposed a three year phase in period – one month at a time, through the 2014-15 school year. With Kindergarten registration at all elementary sites across the district ahead of us in two weeks, the TK Committee needed to make an immediate recommendation to the DUSD Board of Trustees. This subject was an agenda item at the February 28 meeting. TK Committee Chairwoman, Tess Johnson, delivered a presentation and a proposal that DUSD execute the program for 2012-13 under the original legislation so that the District would be in compliance with the law. What this means is that the new birth cutoff date for Kindergarten enrollment in DUSD in the next academic year is November 1, 2007. Kindergarten registrations at all elementary school sites will commence on March 14, 2012. Subsequently, assessments of these new students will occur in the April/May timeframe. As a result of this, an amended program will be created called Developmental Kindergarten (DK). The name change reflects that the offering in the next academic year is not the “full-fledged” package that was initially proposed. At the same time, it will create the footprint for what the school district wants to ultimately provide. Additionally, it will create a differentiated program that will address the needs of these students in the presence of a certificated staff member. The TK Committee will meet again on March 6 to cement these concepts for implementation. 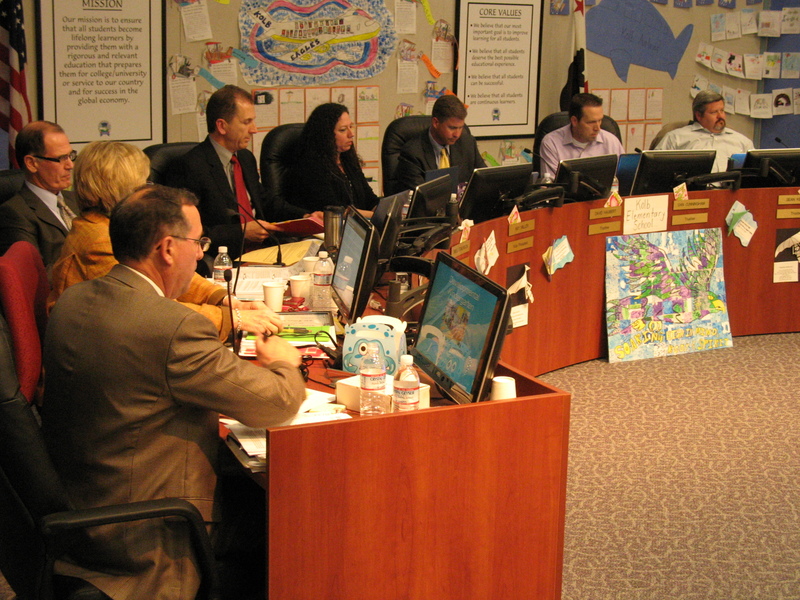 On Tuesday night, the DUSD Board of Trustees deliberated the proposal and passed it unanimously. Parents with Kindergarten-eligible children within the new cutoff date should contact their respective elementary school sites for further guidance. Transitional Kindergarten is likely a new term for many Dublin parents – OneDublin.org met with Dublin Unified School District administrators to learn more about the initiative. Senate Bill (SB) 1381 was signed into law by then-Governor Arnold Schwarzenegger in the Fall of 2010. The passage of the Kindergarten Readiness Act of 2010 represents many things. For one, it ends a debate that has continued for almost 20 years. Education advocates have rallied for a change to the cut-off dates for enrollment into kindergarten. What this could also potentially represent is a population of students who are better equipped to succeed in the first years of their primary education. As a result, Transitional Kindergarten will go into effect starting with the 2012-13 school year. How did this come about? For many years, California schools have maintained that children shall be enrolled into kindergarten if the child will have his or her fifth birthday on or before December 2nd. However, the school year typically begins in late August. This meant that a sizeable portion of the students would begin school at the age of four. California has also employed one of the latest cut-off dates when compared to other states across the nation. In the pre-existing CA Education Code, parents would have to wrestle with the decision whether to enroll their child immediately or to hold them back an additional year. In the Dublin Unified School District, this “tween” age group of students – those at four years of age at entry – equates to roughly 25% of the total kindergarten population currently enrolled. This figure also mirrors the same age demographic across the state. Specifically, the bill changes the required birthday for admission into kindergarten. By the 2014/15 school year, a child must be five years old by September 1st. As structured, it gave each school district the option to phase this program in over three years – moving up the cut- off date one month at a time. After reviewing research at other successful program introductions, the committee has recommended that the September 1st date be adopted in the next coming school year. So, what does this mean for a student born in the earlier part of the year? Transitional Kindergarten (TK). TK will provide a developmentally appropriate curriculum; aligned with kindergarten standards and will be taught by a credentialed teacher. 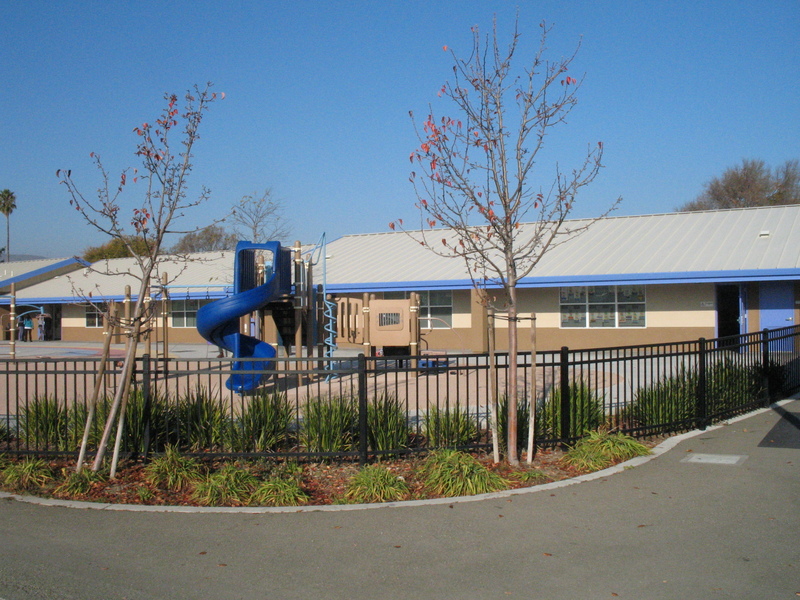 To ensure that Transitional Kindergarten is executed effectively at each elementary site, DUSD has assembled a broad-based committee with members that includes teachers, administrators, District office staff, the Dublin Teachers Association, Special Education, English Language Learners and Extended Day Care Center. This group has been collaborating since October and will continue on into March, 2012 when kindergarten registration begins. To gain more insights into this exciting new program, OneDublin.org had the opportunity to sit down with the TK Committee Chairperson, Tess Johnson. OneDublin.org: Your current professional role within DUSD is rather interesting. Please explain. Tess Johnson: “I presently have dual roles. I am the Principal at Dublin Elementary School and I also serve as a Special Projects Coordinator under Educational Services for the District. My great staff at Dublin Elementary School allows me to help lead other initiatives, such as Transitional Kindergarten. OneDublin.org: What do you think the benefits will be for students who enroll in Transitional Kindergarten next year? OneDublin.org: It appears that the Transitional Kindergarten Committee has been working very hard. How has the group been organized and how will the respective staff members be prepared to start this program? To complete this story, we reached out to a member of the Transitional Kindergarten Committee. 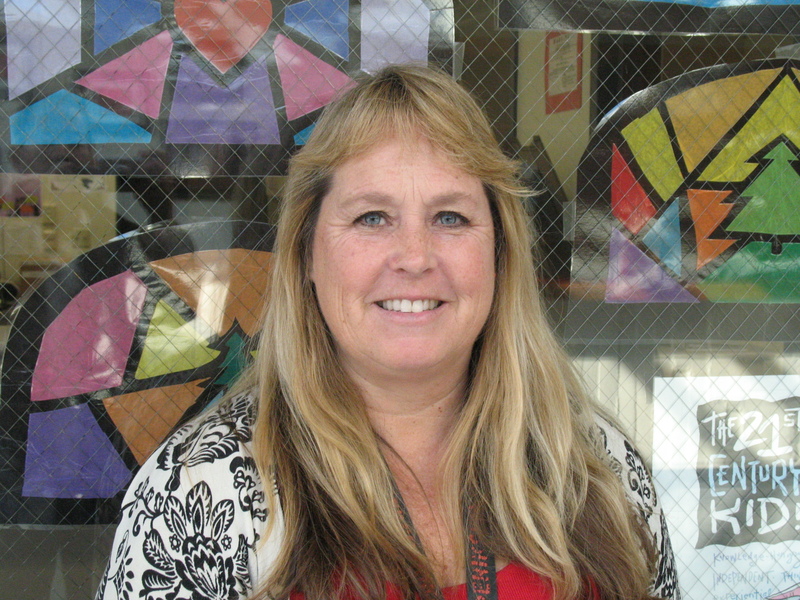 Holly Scroggins is the site Principal at Frederiksen Elementary School. She is leading the Curriculum and Assessment role for this initiative. As one might imagine, the activities in a transitional kindergarten classroom may differ from what may occur in a traditional kindergarten setting. OneDublin.org met with Holly to gain her perspective. OneDublin.org: In terms of curriculum, how would a pre-K class differ from a standard kindergarten class? Holly Scroggins: “We are currently examining pre-school data vs. national and statewide standards for competency. There are specific core standards that we want to achieve – even at this early age. The differentiation here is that the Transitional Kindergarten foundation should have a strong platform in language-based learning. OneDublin.org: For parents residing within the District, what will these classrooms look like? OneDublin.org: Once this program is successfully launched, what is your hope for the students that enroll into the Transitional Kindergarten program? Hi, my wife and I were hoping to enroll our 4-year old son into the transitional kindergarten, but she was informed from the administrative staff at Kolb Elementary that there may be no transitional kindergarten for the upcoming fall school year 2012 in Dublin. Enrollment for kindergarten for the next school is about one month away. Can you please reach out to the author Michael Katsumi for an update? I left a message with the school district, but they have not returned my all. We know of a handful of parents that are interested in the transitional kindergarten program, but we all have very little information. Thank you for your comment. Unfortunately, the status of this program in CA is very unclear. While SB 1381 was signed into law, the January 2012 budget proposal by Gov. Brown included up to $517MM in cuts to child development – a portion of which was dedicated to TK. Presently, the subject has become a fiscal “volleyball” as the Administration, Legislators and the Department of Finance are attempting to both honor the law and to do it in a fiscally responsible way. So, where does that leave us? If you read between the lines, there are some differing possibilities. As a give-back, the November 1st only cutoff could be implemented in 2012-13. The State may also direct the implementation as a local option rather than as a mandate. DUSD is acutely aware of the confusion that exists with this subject. I have been informed that the Board of Trustees will be discussing this item at their meeting on 2/28/12. You may want to consider attending that night. Educators are united on this subject and they want it to succeed. First, my apologizes for butchering the spelling of your last name. About 45 minutes ago, Bryce of the DUSD returned my call and informed me of the fiscal dilemma the school district is facing with SB1381. I really hope the dollars somehow become available and/or DUSD finds a way to work it into their budget. My 4-year old is receiving speech therapy at Kolb Elementary, and I really think it would serve him well if the TK program is available in the fall of 2012. Either my wife or I will attend the school district tonight to voice our opinion about the program instead of waiting around till 02/28/12 meeting–just to get jump on the issue. If possible, can you continue to provide updates as you hear about them regarding SB1381? This site has been a great resource. Thank you very much for replying and caring about the children of our school district. 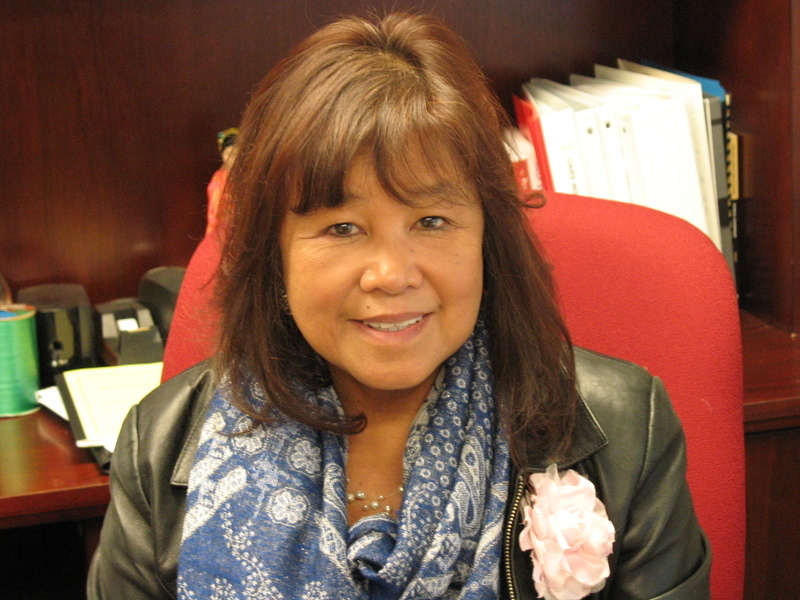 James–per Michael Utsumi from a separate e-mail, I re-checked the agenda of tonight’s school board meeting and the issue of the Transitional Kindergarten program will not be raised, so my wife and I will wait till Feb 28 to address our concern. This is good, because it will give us time to read up on http://www.cde.ca.gov/ci/gs/em/kinderfaq.asp and have a prepared, organize public opinion statement to the trustees.